All in one PRIVATE place. Record your story with live audio or video within the platform. A collective timeline of your entire family’s life events. Automated thought-provoking questions get family members talking and sharing. A private vault where you can store media privately before deciding what to share with the whole family. Free Accounts for deceased loved ones to keep their memories & stories alive. No ads, pop-ups, politics, or trolls. 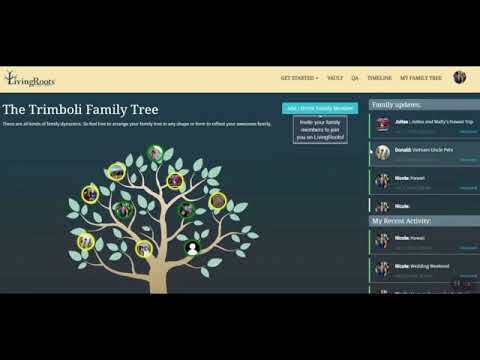 Begin free profiles for children to organize their childhood events. Finally, an organized place to store the pictures my dad gave to me of his childhood. This is so easy and I love that it’s for just me and my family! Love the Q/&A feature. I’m learning things about my siblings I never knew. Worth every penny. Makes it easy to gather family history because everyone’s contributing a little at a time. I wish I would have done this years ago. At least we can share stories about my mom here.